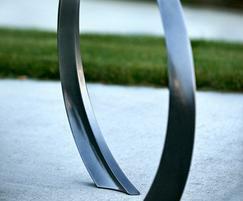 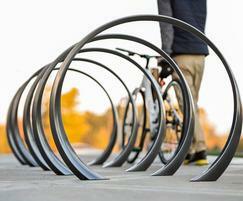 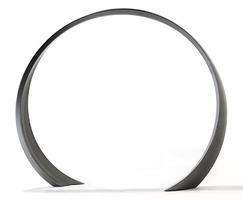 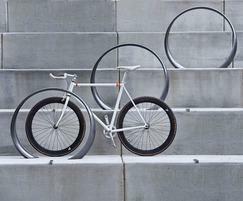 The Loop cycle rack is a simple, sweeping circle with a twist. 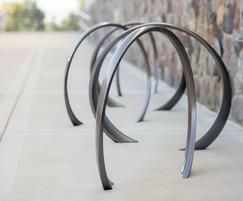 Both functional and sculptural, it is a welcome new addition to the 35 Collection of integrated site elements created with frog design to encourage social activity in outdoor space. 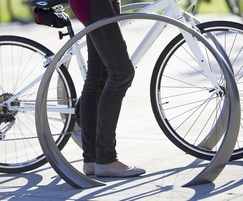 Cyclists can loop and lock one or two bikes around its shape-shifting cast aluminium ribbon frame. 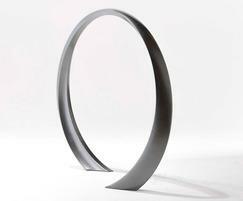 Like all products in the 35 Collection, it is finished with Landscape Forms proprietary Pangard Powder coated in colours from the companys Designer Palette.